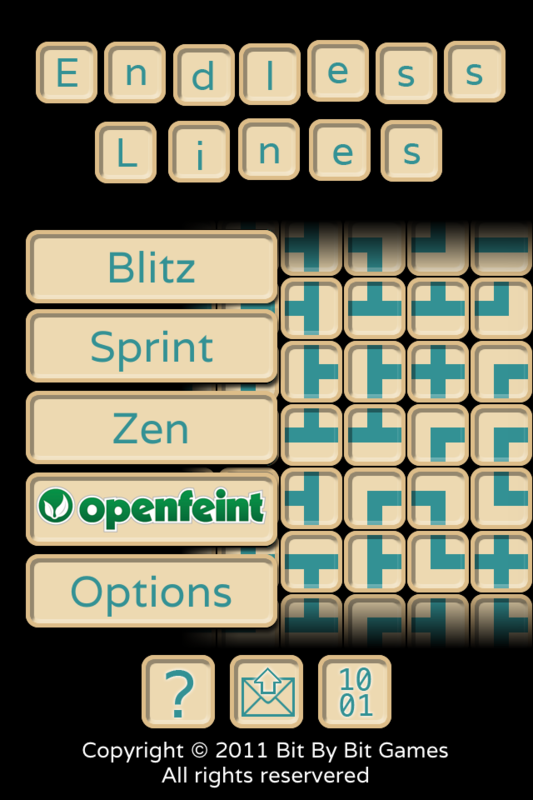 10 word description: Block sliding puzzler. Create path left to right; three modes. Whole rows or columns can be slid. The aim is to create a connected path from left to right. 10 word review: Pipe-Mania style, focussing on clock-beating; no-frills, addictive game. 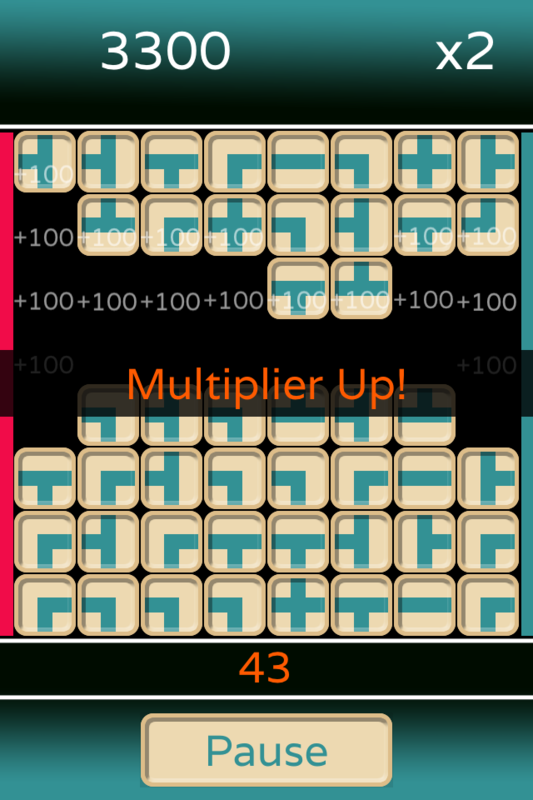 If you include a multiplier tile in your completed path, this happens. 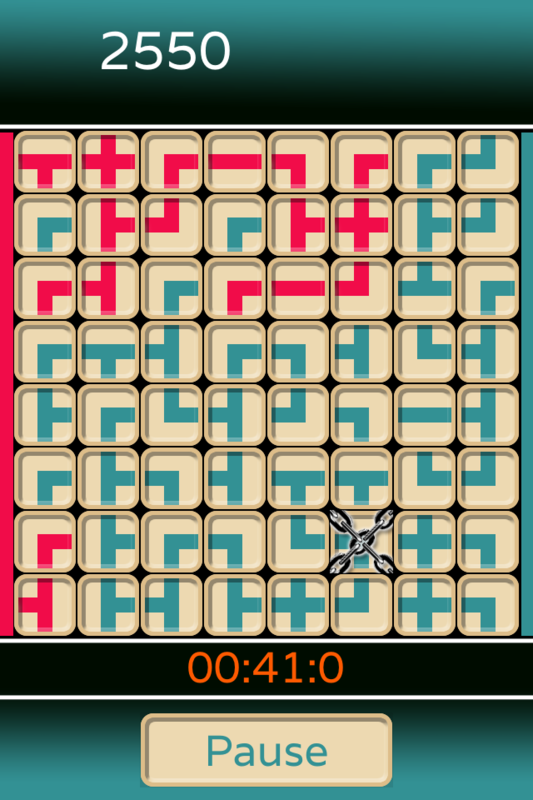 You will like this if you enjoy: Pipe Mania; speed-based path-building puzzles. The good news: Simple concept, implemented well. Clear, uncluttered graphics. Slide controls work well. 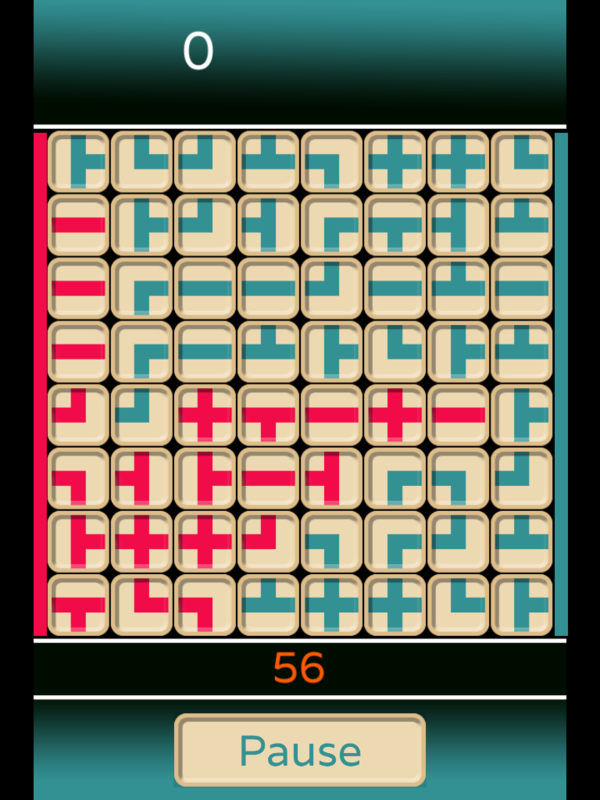 Blitz (60 second scoring) mode is a lightning fast fix of addictive red-line puzzling. 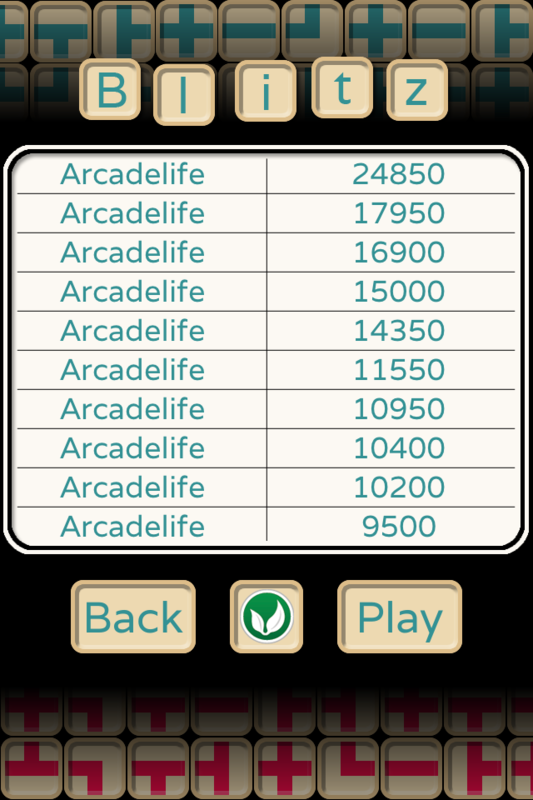 The bad news: The three existing modes are perfectly adequate, although Zen mode is really just a practice/endless mode without any way of losing (that I could see) and no high-score retention. A few different modes could be added without any additional graphical assets, maybe getting away from the time-limit concept by locking some more of the of the rows/columns or introducing other gameplay mechanics. Maybe a mode with a limited number of moves between each completed path, with bonus moves added for linking through the bonus icons? 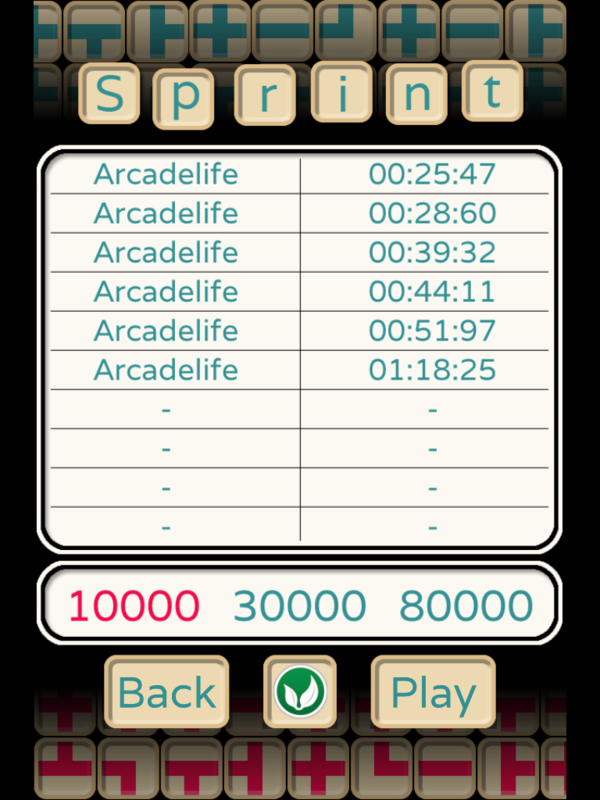 Arcadelife verdict: Overall this is a fun little puzzler, more of a speed-test than actual puzzles and, for once, the time-limits feel like a deliberate game mechanic rather than a cheap way of introducing a challenge. It would be good to see some more modes introduced – the core gameplay is a solid enough foundation to justify some updates and expansions.